BlackSuami would like to play against you. BlackSuami is Finnish competetive clan and now looking now opponents. We would like to have game 6 vs. 6 game. Widgets: Only Bandages, Fireproof Underpants and Stamina boost allowed. Weapons: Normal (non super/uber/BC2/MoH) Weapons. No commandos, untill clanleader change his mind. If any discussing, please post or contact me in Xfire: judosoturi. Re: BlackSuami would like to play against you. we could probly fight you, i don't know, im not the leader. just want to say we have to have at least 1 mando. 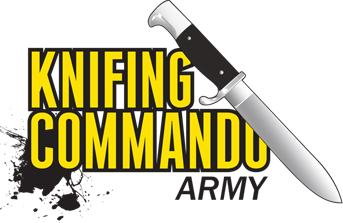 we are the knifing COMMANDO army! Just ahve to wait on word from Dread. u're challenging the KNIFING COMMANDO *HOLDING UP A BLINKING RED SIGN* army on a clanwar without Commandos <.<? Tjx3 wrote: r' u srs ? Clanwar with no commandos are common.. We have been in a few. nc 'bout the unfitting clan name then. It would be boring if we'd only want commando clan wars. We often fight without a commando..A soldier/gunner is helpfuller than a commando (sometimes). Btw, which faction would you like to play BlackSuami? Do we who gonna be royal and who national? I see this post make many opinions. I'll wait for your Clanleader word and then making final decide. We have only one commando in clan atm. and it's biggiest problem. Oh and date I haven't put up yet because I will look for it. Which faction will/would you play? kilwithaknife wrote: haw can i participate?